Jan Drury, Joanne Bowes and Jennifer Steele are members of the Artists’ Network Bedfordshire. Exhibiting as The Three Js, they share an interest in exploring different media and approaches, in particular how these contribute to their personal visualisations of landscapes, seascapes and the natural world. Jan is an abstract artist, whose paintings are an exploration into the effects of the intermingling and reactions of various liquids, combined with layering, collage and batik. This process allows for the occurrence of chance within a controlled setting and each work of art is therefore unique. Jan has recently extended her repertoire to include solar printing. Once again, the effects of this process are unique and varied. 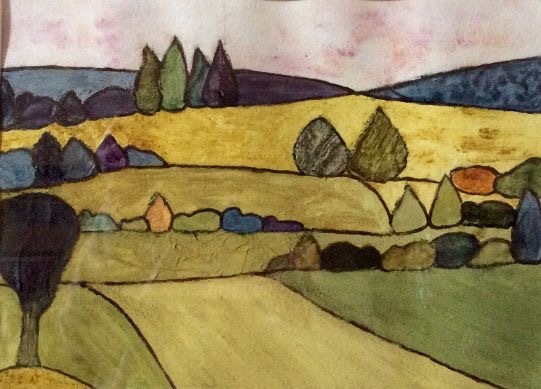 Joanne is a textile artist who works from the landscape or through the study of nature’s patterns to explore textures and shapes in order to create the drawings and paintings from which she produces her unique designs. She enjoys working with natural and recycled materials across the spectrum of printing, weaving and knitting. 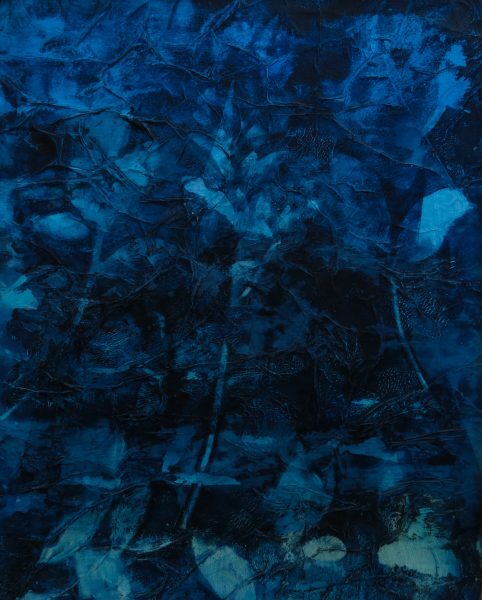 Her mixed-media landscapes are created using handmade pigments and natural dyes. Jennifer paints in both mixed media and pastel. 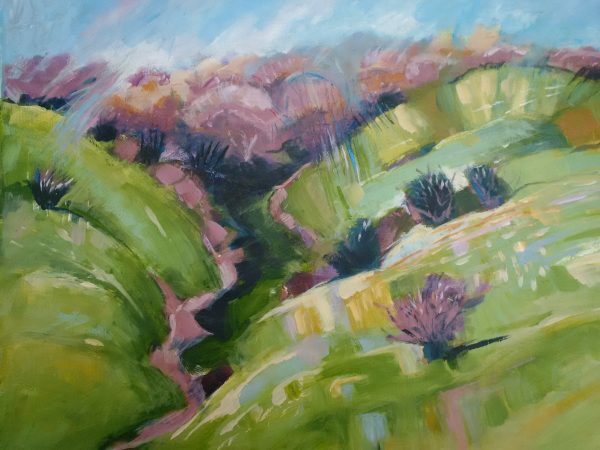 She enjoys exploring the local landscape in a semi-abstract manner, responding to each landscape’s individuality and seeking to establish a sense of place. Still life, flowers and animals are also favourite subjects. Of particular interest is how the choice of medium influences the form of expression and the final painting. Opportunity to meet the artists! Come along to the Meet the Artists event in the Three Hares Gallery on Thursday 27th April from 11am to 1pm and 1pm to 2pm to meet Jennifer, Jan and Joanne and talk about their work and inspirations with them.